ANAHEIM, Calif. -- An 18-year-old man arrested for felony DUI is accused of crashing and killing a man as the victim arrived home to meet his pregnant wife and young child early Sunday morning. Jorge Esteban Lunas Martinez, a resident of Anaheim, was arrested on suspicion of gross vehicular manslaughter while intoxicated, felony drunken driving and being an unlicensed driver, according to a press release from the Anaheim Police Department. Jorge Esteban Lunas Martinez, 18, is accused of killing a 34-year-old man while drunk driving in Anaheim on Sunday, July 30, 2017. Firefighters and police responded at about 3:15 a.m. to Ball Road and Loara Street, where a Toyota Camry, Nissan Maxima and a parked Nissan Versa were found wrecked. Martinez was driving westbound at high speeds on Ball Street when he drove toward oncoming traffic, lost control of the Maxima and hit the victim as he turned his Camry into the driveway of an apartment complex, police said. The driver of the Toyota, identified as 34-year-old Tarek Hamed, was killed at the scene while "his pregnant wife was at home with the couple's young child," the press released stated. "An investigation revealed the decedent was turning into this driveway at the time of the collision," the statement read. 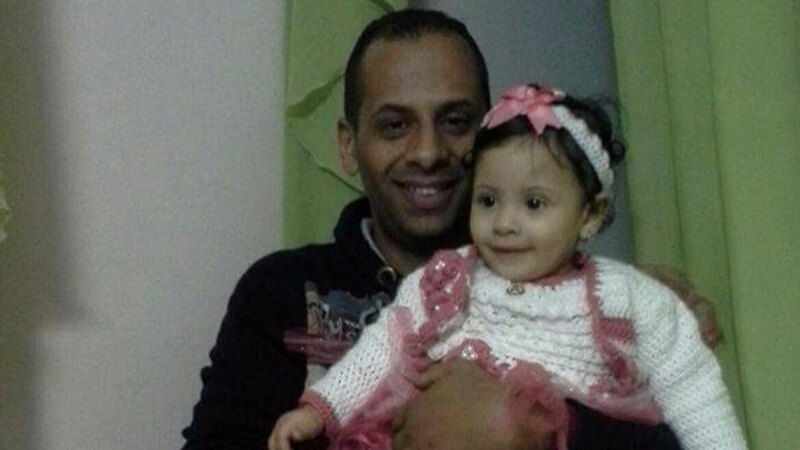 A GoFundMe page set up for Hamed, said his wife Neveen is due to give birth next month. It also said he was the sole provider for his family after they had moved to the U.S. from Egypt last year. A 17-year-old girl was a passenger in the Maxima and transported to a hospital in stable condition. Martinez was checked out by medical staff before he was booked. His bail was set at $100,000, Anaheim police said. Authorities were investigating whether Martinez was involved in a street race before the fatal crash. A friend of Hamed, Amer Yassien, said he had a message for people who drink and drive. "My message to people who drink and drive: You guys are causing misery, either to your family or to the people that you killed. No one can see me from inside. No one can see how much I'm breaking down right now," he said. He said Hamed was like his brother, a kind person and had just won the lottery in Egypt to be able to move to the U.S. If you would like to donate to help Hamed's family pay for his funeral and other expenses, you may go to the page gofundme.com/cn6m7h-tarek039s-burial-and-family-support.